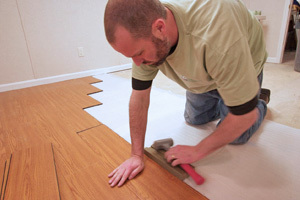 Count on Us for Your Basement Remodeling in WI & IL! The contractors at Buck Buckley's Total Basement Finishing specialize in basement finishing-- it's what we do every day! We can finish your basement in less than two weeks! Wisconsin & Illinois basement remodeling is growing very quickly in popularity, particularly in the Greater Milwaukee area. As it does, companies are scrambling to design basement finishing systems that they can then sell to this new marketplace. Drywall products that are slightly more resistant to mold are being made by other companies, but no one has been able to develop anything quite like our patented mold and water resistant products. 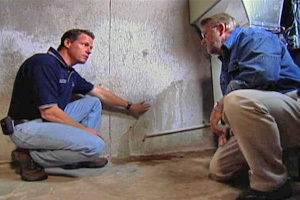 When Our Design Specialists come to provide you with a free estimate, they will be happy to give you a demonstration on how our products resist water and mold. Additionally, new wall products that use fiberglass, fabric, and even string are being offered all over Wisconsin & Illinois by other companies. Are these basement finishing products advantages or simply alternatives? Is there really anything out there that will prove superior to simply hiring the guy down the road to come in and hang drywall in the basement? Buck Buckley's Total Basement Finishing would like to show you the steps of their services so you can see how they really stand out from the crowd. From the first call on, these are the basement remodelers with the services, products, and results you need. Buck Buckley's Total Basement Finishing is committed to providing the best service throughout the entire process, from your first interaction with us to your last call with us. When you call or e-mail us for your free basement remodeling estimate in Wisconsin or Illinois, count on a trained, professional representative to answer right away, without the hassle of dealing with a frustrating automated system. Once you set up your appointment, a full-color 88 page book on basement remodeling will be mailed to your home. This book - "Basement Finishing Science" — is a powerful research tool, filled with pictures, information, and the Total Basement Finishing line of finishing products for the basement environment. Basement remodeling should last for a lifetime, so it's worth it to consider all available options. Meeting with a system design specialist for at least 90 minutes after he or she has all of the measurements of your basement is a great way to best plan out all your basement finishing goals to ensure a long-lasting and professional basement remodeling. One of the best things about remodeling with Buck Buckley's Total Basement Finishing is that we do it all. From walls, floors, ceilings, windows, trim, and crown molding, to doors, bathrooms, closets, wall partitions and all the finishing touches, you can count on our skilled and experienced contractors to take care of your basement needs. The basement can be remodeled in ten days or less, and it will be ready to use as soon as the installers leave your home, with no wait for grout to set or paint to dry! You will be pleasantly surprised by our basement finishing installers' skill, speed, and flexibility. They work in basements every day, and they are deeply aware of the unique challenges basement finishing presents, including low ceilings, beams, small windows, basement insulation, and all the other challenges that make a basement remodeling project in Wisconsin & Illinois like none other. Total Basement Finishing's wall panels and flooring are ideal for a basement space. Each TBF product carries warranties that are designed to protect them against mold and moisture. Your basement windows will never rot, rust, or corrode. Your ceiling tiles are warrantied against mold and sagging. And unlike cloth and fiberglass walls, Total Basement Finishing's EverLast™ Wall Panels will not stain or soak up any moisture, and they are far more resilient to impacts and daily wear and tear than drywall. This is a basement finishing system that's truly designed to last for a lifetime! Buck Buckley's Total Basement Finishing of Wisconsin & Illinois, including the Rockford, IL area does not end their service when the installation is complete. Buck Buckley's Total Basement Finishing would like to help you transform your basement into a warm, comfortable, dry, and healthy space. To get started with your free, no-obligation basement finishing or remodeling estimate, call or contact us online today!